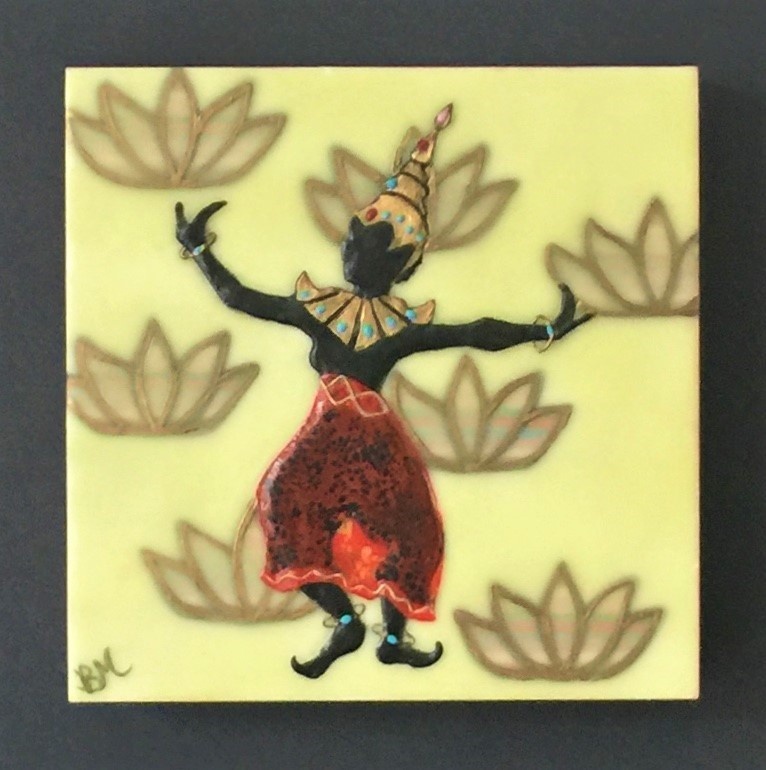 As a piece celebrating the art of dance, my focus is to capture the form of Thai classical dancing. This is a dance that focuses on keeping the body upright from the neck to the hips while using, primarily, the legs and arms for expression. I am an encaustic artist. This is a realization I came to understand when out on walks of creative inspiration. I find myself re-interpreting the world around me in wax and re-imagining textures I see as impastoed wax.